Does your child have a favourite teddy that they take everywhere with them? Gee does, spotty dog has been enjoying his travels with us since Gee was 2 years old, she is now 12 and he still accompanies us. 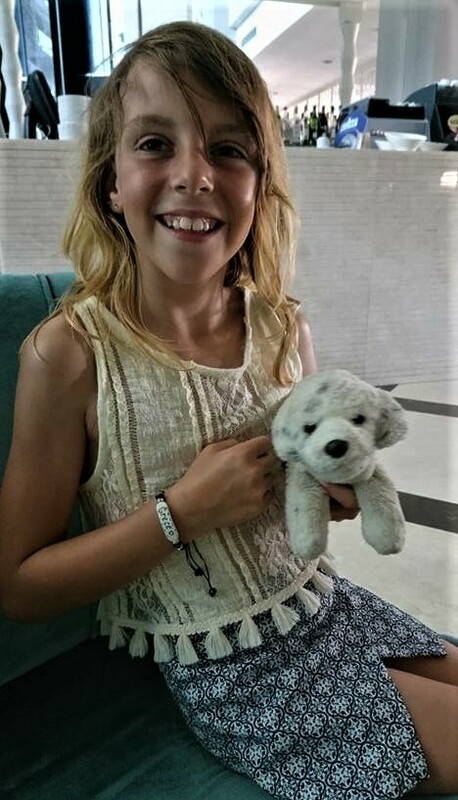 Whether we travel in the United Kingdom or abroad, spotty dog takes pride of place in Gee's hand luggage and experiences all the fun of travel and holidays. Last year on holiday Gee lost spotty dog and fortunately for us the hotel we were staying in were fabulous, staff went out of the way to retrieve him and we had a lucky ending. Spotty dog had been left round the pool, he had slipped under the sunbed and it was not until that night the panic set in, we searched high and low and could not find him. Luckily for us he ended up back where he belonged but this could have ended up so differently. The look of pure joy on her face says it all, she was lost without him and needless to say she is a lot more careful when he comes on our journeys now. 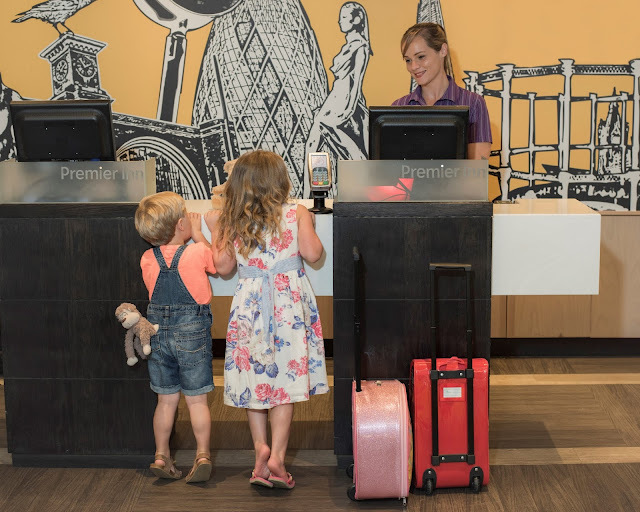 With a rise of lost teddies in the summer months, Premier Inn are trialling a new Teddy Check In service at Premier Inn Terminal 4 Heathrow from August this year. On average 3,000 teddies are found a month, these have either been left behind, lost within the bed sheets, hidden under the bed, in a wardrobe or drawer, or lost somewhere .within the hotel. Losing their favourite teddy can be a nightmare, causing upset, sleepless nights and from experience untold stress for parents as they try and hunt down the teddy. On arrival at Premier Inn teddy will be checked in with a special teddy check in card, which will be a useful reminder for parents but also act as a prompt to search in the most commonly found hiding places, which is an amazing idea. Congratulations and well done Premier Inn for such a great service and in helping us parents to avoid any holiday mishaps. We will be sure to use this service if travelling from Heathrow and I hope to see it rolled out across the UK soon. My daughter has a little teddy she sleeps with so we have to take it everywhere. She has had it since she was a new born.